This November, the region's most anticipated Design Week will take place. Taking place at locations across the city, this year's program will be the most comprehensive to date, with more than 120 companies participating and 230 events taking place, encompassing exhibitions, commissioned installations, awards and competitions, talks and workshops, tours and experiences for design enthusiasts and public visitors alike. Coinciding with the event, this November will see the official opening of the Jameel Arts Centre, Dubai's first contemporary arts museum, the inaugural Fikra Graphic Design Biennial in Sharjah, the first of its kind in the region, and a range of activities staged at Alserkal Avenue, reinforcing November as the annual focal point for design and creativity in Dubai. 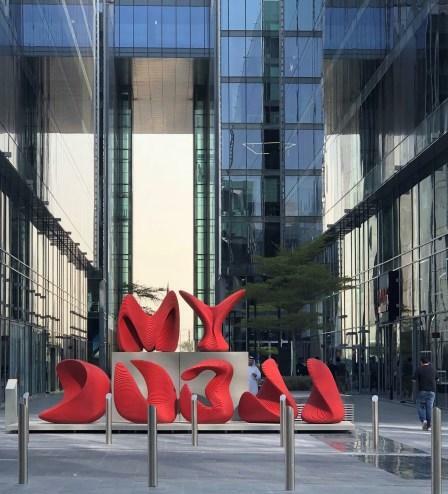 For the first time, this year Dubai Design Week partners with social networking giant Facebook through a real-world activation set in within the heart of Dubai Design District (d3). Customized workshops and knowledge sharing activities have been specially devised to celebrate the Arab creative community. Facebook's 6-day physical presence will showcase how people can use the platform to connect and build communities in memorable, creative and responsible ways. Enabling UAE design since 2008, design-incubator Tashkeel will present 'Design+Making UAE'; a destination for those curious about the local design ecosystem, exploring design practice in the UAE from concept to completion. The roadshow exhibition 'Original Comes from Vitra' consists of series of booths, each dedicated to telling the story of a Vitra original. Each booth will narrate the history of the product with drawings, sketches and photographs of prototypes. Examples include some of world's most iconic pieces of furniture; the Panton chair, the Standard chair by Jean Prouve and the Lounge Chair by Charles & Ray Eames. DRAK, the design collective based in Dubai's Ras Al Khor community will be conducting a community initiative titled 'From RAK to DRAK' where three designers, Amal Haliq, Faissal El-Malak and Khalid Mezaina, will focus on three commercial outlets from the neighbourhood. A site-specific installation by Dubai-based firm ANARCHITECT, 'Circadian Light Synthesis' is set out over two pavilions at one of the d3 entrance points; one with natural light and the other with artificial light provided by Delta Light, exploring the human circadian rhythm and our relationship with natural light - both from the sun and the moon. The Middle East's leading design innovation competition, this year the Audi Innovation Award has challenged designers in the region to respond to the theme 'Connections'. With a panel of distinguished judges selecting the winning project amongst 450 registrations of interest, the winner will be announced on 13 November, during Dubai Design Week, and receive $25,000 worth of investment in their design. 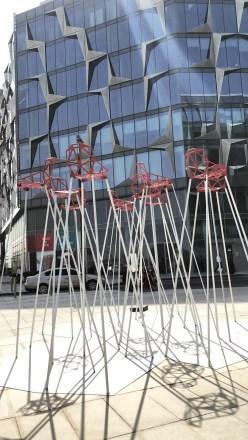 The winning project of Urban Commissions 4.0, be unveiled during Dubai Design Week on 13 November, where it will be installed permanently in Dubai Design District (d3). Selected amongst the three projects shortlisted from over 100 submissions, responding to this year's theme 'Water Feature'; The annual competition is an initiative by Dubai Design Week, Dubai Culture & Arts Authority (DCAA) and Dubai Design District (d3). The open-call competition, Design 100, for designers from the UAE to create a piece of furniture or functional object for the chance of having 100 editions produced by Dubai Design District (d3) in partnership with American Hardwood Export Council will unveil its winner within Downtown Editions, where winning product will be sold to the fair's visitors and all proceeds will be allocated to Dubai Cares and their support for Syrian refugees. Workshops for professionals as well as public will take place across the Dubai Design Week program, with Re:Urban Studio providing the setting for professional masterclasses, amongst them creative design studio Ink; transforming music into physical spaces, alongside global agency MassiveMusic, who are demonstrating the exercise of branding sound.